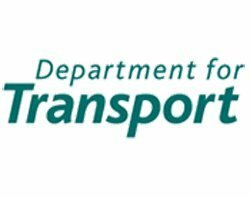 The Department for Transport (DfT) is set to roll out IP telephony across its premises now it has awarded a contract to Azzurri. The managed communications firm will install the Mitel Communications Director solution across the DfT’s two sites in London and Hastings, providing 400 unified communication licences for unified messaging, voice conferencing, call recording and call logging. This will equate to 2,500 extensions for the department, along with 100 contact centre agents. Azzurri will provide professional under the deal, which will include project management, design and installation services during the deployment process, user training, a security audit and a resident engineer at the department for three months after the solution goes live. The tender for the five-year contract – worth £1m to the winner – went through the government’s Public Services Network (PSN) procurement framework, which enables approved service providers to submit tenders for government contracts that run across a shared public sector network. It involved the shortlisted firms having to install a test phone system on site so the DfT could get the feel of each technology, followed by a "best and final offer", before the decision was made. Vim Vithaldas, CEO of Azzurri, celebrated his firm’s success and its achievements through the new framework. “We’re delighted to win this contract through the PSN Services framework as it is our first notable success in supplying services and technology to central government,” he said. “Azzurri already has a very strong record in local government, having delivered major ICT contracts to organisations such as Cornwall, Wiltshire and Durham Councils, but the PSN framework has helped open up a new route to central government departments,” said Vithaldas. The deployment process has already begun, but Azzurri had yet to confirm when the system would go live at the time of publication.